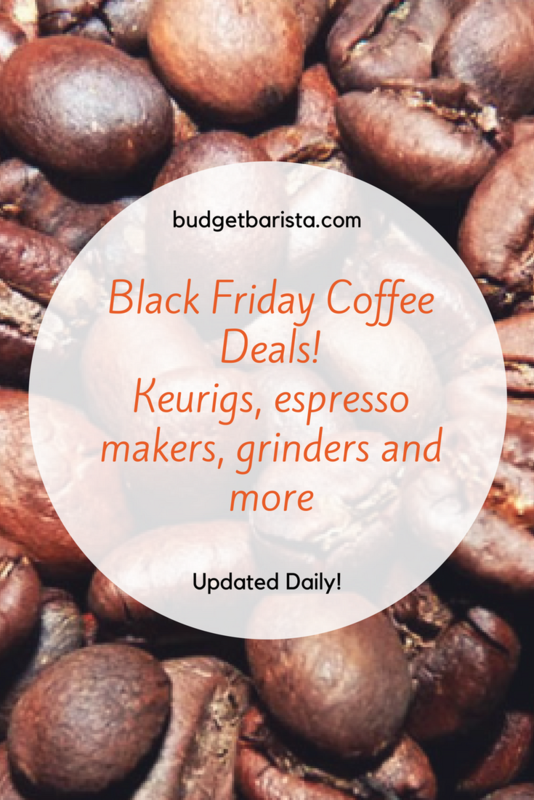 Just because electric coffee grinders get the job done quickly and efficiently, without requiring any elbow grease, doesn’t mean you should instantly write off a hand crank coffee grinder. A hand crank is portable, generally more affordable and still the best way to control the outcome of your coffee brewing experience. Grinding the beans yourself means you’re already committed to great tasting coffee, but doing so by hand allows you to control this carefully-crafted process even more. All of our hand crank grinder recommendations are burr grinders. 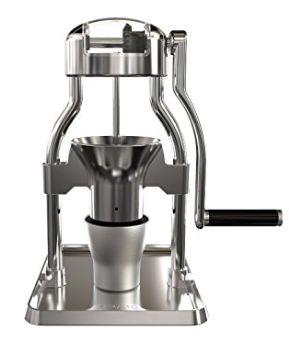 A blade grinder tends to pulverize beans, as opposed to a burr grinder, which produces an even grind. The appeal of a blade grinder is that they’re cheap, but you get what you pay for: uneven fragments and fine particles, which doesn’t extract evenly. To put this in laymen’s terms: A blade grinder kills the flavor you’re after. Aside from the price (our budget pick is less than $30), there’s also the portability factor that’s appealing with a hand crank. If you’re worried that your arms will turn into noodles from all that cranking, fear not: a decent hand crank coffee grinder should be smooth and won’t feel like arm day at the gym. Size and capacity: Weight and size does vary on hand crank coffee grinders. A heavier model might not matter at home, but if you’re traveling with it, weight becomes more of a concern. When making our recommendations, we also took ergonomics into account, as you’ll want to be able to have a firm grasp on the mill while grinding. It’s also important to note the capacity of the chamber, as it’s a pain to either keep having to refill beans or have to keep removing the ground beans on the other end. Material: Most hand cranks come in either stainless steel or ceramic. A ceramic or mahogany model may add flair to your countertop, but is impractical for travel. So if you’re grinding on the go, stick with stainless steel, which is more durable than glass. As for the actual grinding mechanism, most will rely on ceramic or steel burrs, which are the standard for producing an even grind. Settings: Our favorite hand cranks have a dial with number settings that help you crank out everything from a finely ground espresso to a course grind for French press, drip or pour-over. 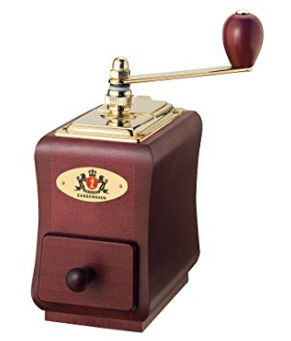 While you won’t achieve a grind fine enough for Turkish coffee for these grinders, you should look for number settings to help achieve a consistent result. Consistency is key with any grinder. This is one huge factor that separates a cheap model from one that will last you a long time. Plus, what’s the point of grinding your own beans if the grind isn’t uniform and leads to crappy coffee? 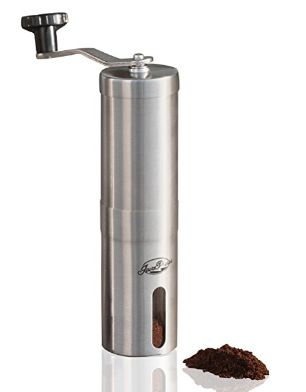 Pros: Perfect for home or travel, this coffee grinder won’t break the bank or take up too much countertop space. It’s a snap to clean, assemble and grind some beans. Cons: Its glass base makes it less practical for travel (see our travel recommendations below), but heavier and sturdier for home use. Users noted that changing grind settings was a challenge. Buy it if: You want an easy-to-use, ergonomic grinder (preferably) for home use, that’s durable and affordable. 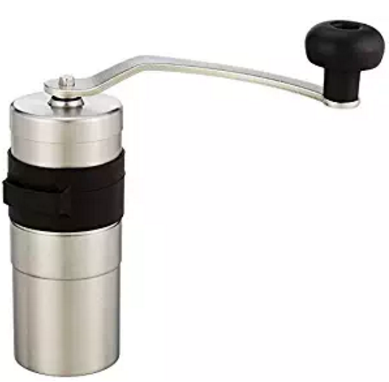 Pros: The combination of an easy-to-turn crank and rubber grip make it easy to grind out coffee in no time. The numbered dial has 15 settings and is easy to use, making it a snap to reproduce the appropriate grind setting for whatever you’re brewing that day. A large hopper holds 100 grams of beans: perfect for brewing for a crowd. The Handground is easy to clean and aesthetically pleasing. Cons: A bit large and heavy for travel, this one’s best left on your countertop at home. The price rivals some decent electric coffee grinders. Buy it if: You’re looking for a fast and easy way to produce great coffee at home for years to come. It’s a solid investment for the quality and a good-looking addition to your countertop. Pros: Less than $30 scores you a stainless steel grinder with 18 settings that’s perfect for home, office or travel. It’s easy to clean with a one-year money back guarantee. It’s also one of the highest rated hand crank coffee grinders on Amazon and users noted the company’s exceptional customer service. Cons: Some users found it produced inconsistent grind, especially with espresso. 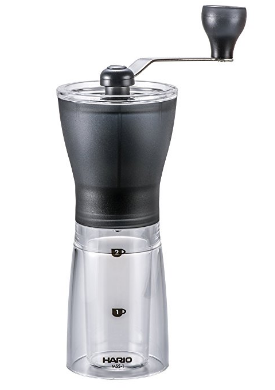 Buy it if: You’re looking for a cheaper, but well made conical burr mill grinder that’s also easy to use. Pros: A removable handle helps the Porlex pack down conveniently in a suitcase for easy travel. If your luggage gets thrown around, its stainless steel body makes it nearly indestructible. A silicon grip makes it simple to gain leverage and an inner spring and ceramic conical burrs help keep the grind consistent. Cons: A 20 gram capacity means you’ll be making frequent bean refills. Users report that it takes some finagling to figure out the appropriate grind settings. Buy it if: You need a durable, compact grinder for backpacking, camping or travel. Pros: Small, lightweight, detachable handle makes it easy for travel. Features a long-lasting ceramic mill. Cons: A grinder with a little heft isn’t a bad thing, as lighter models can easily slip out of your hands while grinding, one of our biggest gripes with this mini model. Buy it if: You’re looking for a lightweight, inexpensive travel grinder that’s easy to use with an Aeropress. Or if you’re only going to be using the grinder occasionally. For frequent on-the-go grinding, we’d go with the Porlex. Pros: This German-crafted mahogany grinder is built to last and is easy to set and use. 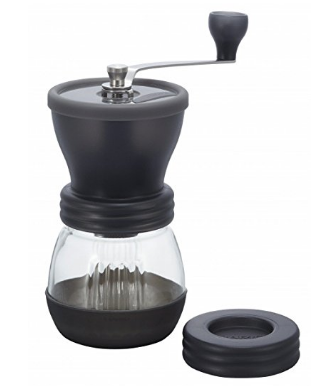 Users report that this conical burr grinder makes excellent espresso as well as drip. It also comes with a 25 year guarantee on the grinding mechanism. Cons: A bit heavy, this grinder is best left on the countertop. It’s also a bit pricier (in the $100 range) than many of our other picks. 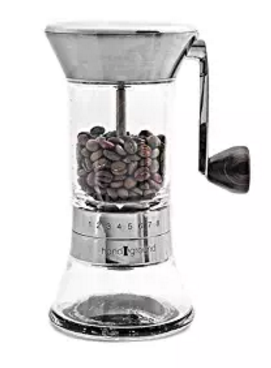 Buy it if: If you intend to truly savor the experience of grinding coffee and want to display it as a focal point of your kitchen, then this is the best hand crank coffee grinder for you. Pros: This manual model has been shown to outperform pricey electrical burr grinders when producing a uniformly fine espresso grind. Due to its smart decision, the ROK grinds quicker than most hand grinders, and its nonslip base only requires one hand for grinding. Cons: At nearly $200, you’ll have to pay for perfection. Also, this model is not meant for travel. Buy it if: You want the best, especially for evenly ground espresso. We’d consider it only on par with the others for course ground. It also excels in its ease of use. Related: Chemex vs. French Press: Who Wins the Best Coffee Battle?, Burr Grinder vs Blade Grinder: Which Method is Better?